Dorothy M. Tuma has over 20 years of experience as a brand manager in the United States and as a lead consultant and trainer in both the design and implementation of a variety of trade-related projects in Eastern and Southern Africa, with a particular interest in women and trade. She has undertaken projects for the Centre for Development of Imports from Developing Countries (CBI), the East African Business Council (EABC), the Inter-Governmental Authority for Development (IGAD), the International Trade Centre (ITC), the Swedish International Development Cooperation Agency (SIDA), TradeMark East Africa (TMEA) and Vital Voices Global Partnership. Dorothy is the founding Chair of the East African Women in Business Platform, which represents over 3,000 women entrepreneurs and traders in Burundi, Kenya, Rwanda, Tanzania and Uganda. 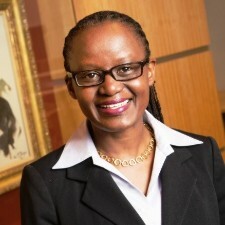 She is also Vice Chair Emeritus of the Uganda Women Entrepreneurs Association Limited (UWEAL) and Director, DMT Consultants Ltd.
She has a Master of Public Administration from the Harvard Kennedy School, a Master of Business Administration from the Anderson School, University of California Los Angeles and a Bachelor of Science in Economics from Makerere University Kampala, Uganda.